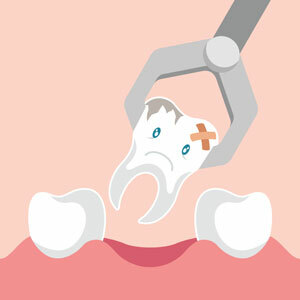 If the extracted tooth isn’t a wisdom tooth, you may want to replace it so that your smile’s look and function are maintained. In such cases, Dr. Aggie provides modern dental implants. To determine whether you need an extraction, we’ll examine your teeth and take a series of X-rays or 3D scans. If it can be saved, we’ll recommend doing so. If not, or if you’d prefer to have it removed, we’ll perform an extraction. You’ll be numbed and can also opt for nitrous oxide to be applied during your procedure. Then, we’ll elevate your tooth and remove it. The area is irrigated and packed with gauze. Before beginning, we’ll go over informed consent and postoperative instructions so that you know exactly what to expect. Complications can arise if you’re a smoker, which can result in a dry socket. We recommend that you abstain from heavy exercise, alcohol consumption, smoking and eating hard foods, which can increase bleeding. Most insurances will cover oral surgery, and we’re in-network providers for most area PPO plans. Contact us today to arrange your appointment!